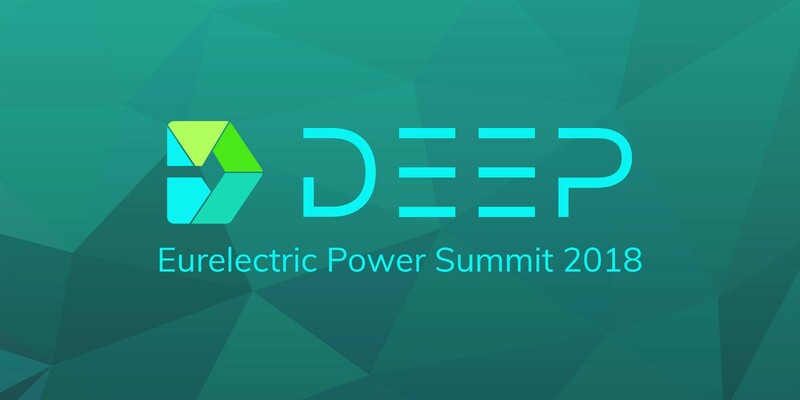 On June 4th and 5th, we traveled to Slovenia to represent DEEP at the Eurelectric Power Summit in Ljubljana. 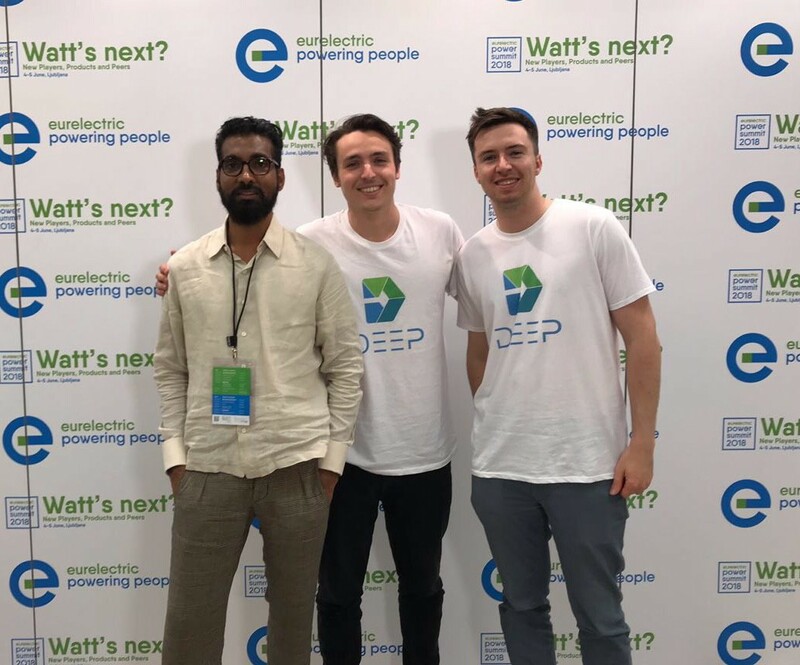 Being at a conference amongst the big players in the energy industry did not only give us a valuable insight into the current state of the energy market, but was also a great opportunity to get the word out about DEEP, which came out of stealth mode end of May 2018. The Eurelectric Power Summit was packed with insightful keynotes and panel discussions, including talks by Ralf Christian (CEO Siemens Energy Management) and Francisco Carranza (MD Nissan Energy). Interestingly, the overall theme of the conference was DECARBONIZATION, DECENTRALIZATION & DIGITALIZATION, three attributes that also form the core of our approach to solving existing problems in the evolving energy market. How does DEEP accelerate DECARBONIZATION, DECENTRALIZATION & DIGITALIZATION? By 2050, the European Union is committed to cutting its carbon dioxide emissions by 80%. In order to achieve these ambitious goals, the EU identifies the transition from fossil fuels towards renewable energy production as their main driver. A big part of that is the rise of privately owned distributed energy resources (DERs) such as PV installations that mitigate society’s reliance on fossil fuels, which still account for most of the energy produced and supplied through national grids today. Currently, even though the number of prosumers is rapidly increasing, the digital infrastructure & applications for self supply and efficient local energy trading is still missing. This is where DEEP’s software stack will come into play, by interconnecting all levels of the energy supply chain: From distributed production sites, to local consumers as well as privately and publicly owned battery storage systems. This will be a huge step towards achieving a fully sustainable low-carbon energy future that incentivizes not only green energy production, but also sustainable and local consumption. As centralized energy production such as coal and nuclear plants see their share of total energy production steadily declining, distributed energy resources such as Photovoltaic (PV), Combined Heat and Power (CHP) and Wind are on the rise. This not only allows for increased grid efficiency but also reduced transmission losses, as energy can be bought and sold locally. However, in order to fully capitalize on an efficient decentralized energy grid, the network requires the necessary digital infrastructure that provides 1) Interoperability throughout various grid layers 2) Robustness in terms of network security 3) Data transparency & immutability and 4) Fraud resistance which enables efficient and direct peer-to-peer value settlements. DEEP supplies these capabilities by providing an easy way for customers to interact with our decentralized applications by deploying them on an underlying distributed blockchain protocol that is used as the digital infrastructure to host our applications. While there is a rapid movement towards distributed energy production, IoT devices, electric vehicles as well as digital technologies such as Big Data and AI, the infrastructure for such new technology is still immature. DEEP allows prosumers to directly integrate their smart devices into one connected system, while at the same time enabling retailers to maximize their efficiency by automating manual processes and offering new services such as grid balancing and demand side management. All in all, the Eurelectric Power Summit was the perfect platform for young startups like ourselves to receive critical feedback from all sorts of players in the energy sector. Over the coming months, we are looking forward to partner with the valuable contacts we made, and launch new Proofs of Concept to further innovate on our vision.